Flashbulbs! The lights- the lights! Lore!!!! E-Kun!!!! Who are you wearing??? Lore: That’s right….time for the Stone Cities Year End Drama Awards! And if you must know, I am wearing a vintage I Love Master off the shoulder evening gown in navy. My accessories are from Tiffany’s Lee Min Ho is sooo much more than an ugly sweater collection. Sorry, we have to run – time for the show to begin. E-Kun: Oh, Glad everyone was able to make it out in this cold weather. I am wearing 4 inch Navy glittered stilettos from the designer Jolli based in Cali, with a silver backless I Love Master evening gown. I almost had to change my outfit because of the chill out here, but I was able to borrow a lovely mink wrap from Lore Unnie (It is not real mink). The necklace? It was given to me by someone really special, I cannot reveal his identity- please respect his privacy and admire the necklace. Or we sprint to the awards ceremony like this, but hey, we look swag regardless. And our MC for tonight’s event is the token Korean awards show MC – the Renaissance man himself – Lee Seung Gi!!!! Lore: Nine came out of left field and smacked me upside the head. And I am still reeling. Time travel shows are nothing new in drama land (you can thank the time travel gold rush of 2012 for that), which leaves a whole lot that has been done and not a lot out there for the pickings. Somehow Nine was able to take the over used trope called time jumping and make it its own- in a way that made me dismiss almost every time travel drama before it. Now, that is a feat in and of itself. Great to look at, with deeply fleshed out characters and amazing writing I would marry this show if I was not already taken (and yunno, it was legal to marry a story). ExtraKun: This was one of the first dramas that premiered in 2013 and it is still the best one to date! Overall the storyline was good, the acting was superb, and do not even get me started with the cinematography. Every show I watched this year I developed a certain fatigue midway through, this drama was good at the beginning, the middle, and to the very last drop. I will never look at time travel the same way again because of Nine. Lore: The Hong Sisters redeemed themselves with this drama. 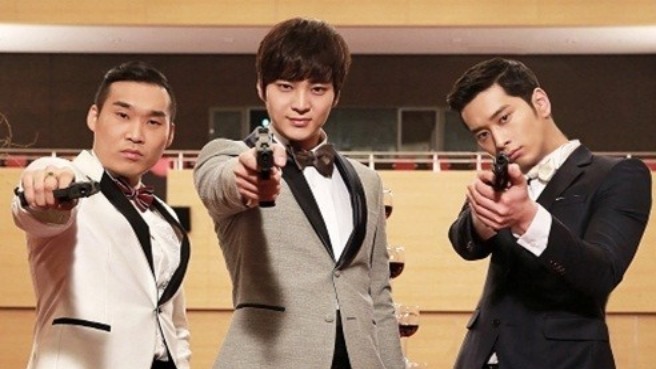 Master’s Sun was a throwback to what this writing duo could do- witty dialogue, endearing and quirky characters, and an out of this world premise that is very much about the real world. 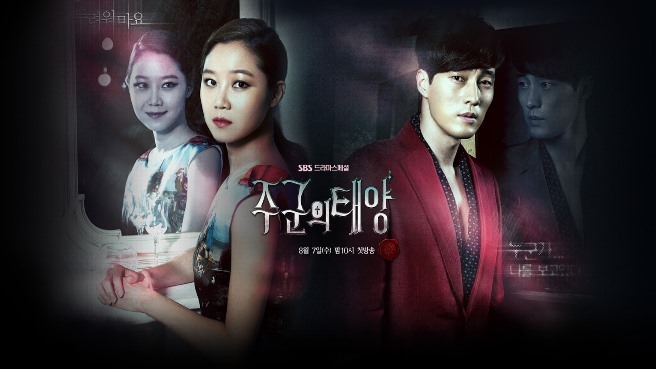 So Ji Sub and Gong Hyo Jin were amazing as Master and Ms. Sun. Extremely well-paced and never far from the comedy (even with a big dose of the serious), there was not a rom-com that could compete with this show in 2013. ExtraKun: If you were not apart of the I Love Master craze you were on another planet! 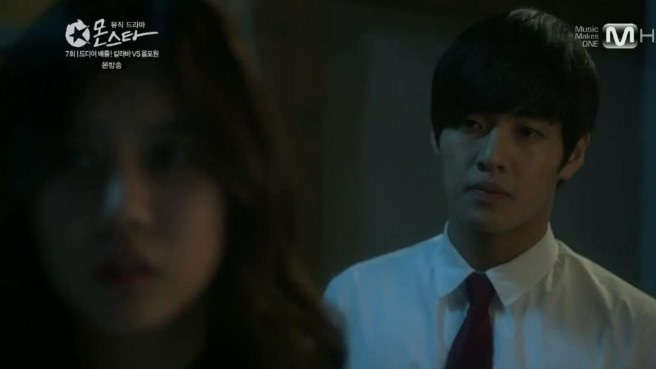 Even though there were some parts that annoyed me or I feel did not resolve in the way I wanted it to, Master and Gong Shil ended up together making it awesome (and Lee Chun Hee made a cameo)! This is one of the best Hong Sisters dramas (although, I really did enjoy Big… Don’t you dare throw a tomato at me you classless strumpet! I liked the show! ), it is in my top 5. Lore: Two Weeks told the story of a 14 day period of time, accompanied by a girl suffering from cancer marking off each day with a crayon made calendar. This suffering little girl was waiting for her surgery, and the one man that could save her was her Appa (played with a whole lot of raw emotion by Lee Joon Ki). Appa is a fugitive, which majorly complicates this story in an action packed way. The mad dash for this girl’s life was nail biting, intensely emotional, and never dull. On the flip side- JTBC gave us a Noire for the drama history books. Heartless City was raw and dark and never made any apologies for its live on the edge storyline. Emotional dearth ruled this show as compared to Two Weeks emotionally driven storyline. Heartless City was the tale of how not to live- and how desperate that type of life truly is. Both were amazing shows, both were thrilling rides. ExtraKun: I love me some Jun Ki Oppa, but I am all the way Heartless City on this vote. It was thrilling, thought provoking, and dark. Give me gritty streets of Korea all day every day and I will watch it over and over and over. Loved it! Can’t say anything else about it. ExtraKun: What can I say? This drama is something that we have seen before but it was sweet and endearing. It had one of the best lines in drama history (according to me), eye candy, strong acting, and a forward moving storyline. I really did like this drama and I will watch once again to see if it lives up to this award. Lore: It seems like only yesterday this show had me tearful and frustrated and full of the push and pull thoughts that only occur in my brain when I am watching a really good melo. That Winter was a messed up story- it is a melo after all. Beautiful to look at with characters that I will vividly remember for a long time to come, TWTWB hit all of the sweet spots for me. The actors did a phenomenal job, the writing was amazing (okay, there were a couple of hiccups here and there) and the cinematography was some of the best I have ever had the pleasure to watch in drama land. ExtraKun: In Sung running up and down the streets of Seoul with beautiful hues of colored coats, cotton candy “kisses”, and images that make you feel like you are standing in the scene with the characters. Heartfelt damaged characters giving us a glimpse into their melo lives– and we are thankful for that in 2013. I still cannot get over the chemistry between the two main actors. Beautiful time well spent. Lore: Song Hye Gyo has been in the acting game for years, which is probably why she is so amazing. That and sheer ability. Hye Gyo portrayed the blind heiress Oh Young in TWTWB – and she did an amazing job. I cannot even begin to imagine what it is like to act effectively much less portraying a character who has a lack of vision. From a cold and guarded heiress to a girl that fell in love, Hye Gyo has my vote for best actress of the year. ExtraKun: Honestly, Song Hye Gyo is not one of my favorite actresses and most times I can take or leave her (especially depending on her co-star). But there was just something magical about her in this show. 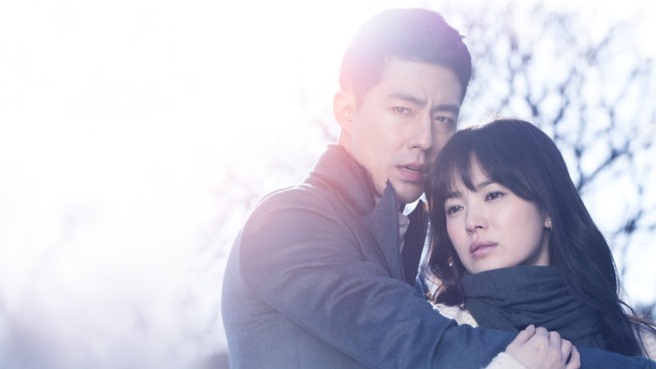 Of course I was always wondering where Jo In Sung’s next scene was, but there were more moments when I wanted to see Hye Gyo. Very moving character and I cannot even imagine another person playing this role. Lore: Baksa, Doctor’s Son, call this character what you will but call him anything but a poorly acted antihero. 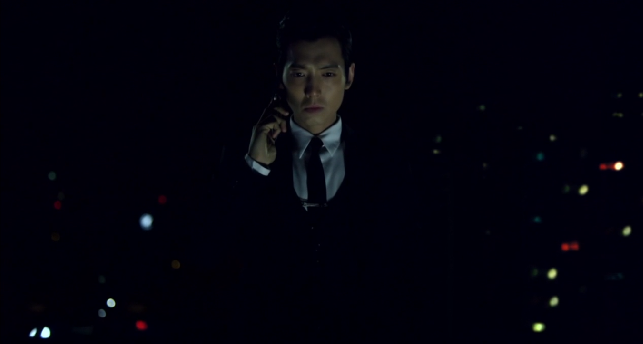 Jung Kyung Ho put on an amazing performance as the gangster usurper with skeletons in his closet. From fighting to plotting to playing by his own rules, I cannot imagine Doctor’s Son played by anyone else. An amazing performance all around and ultimately a tragic one. 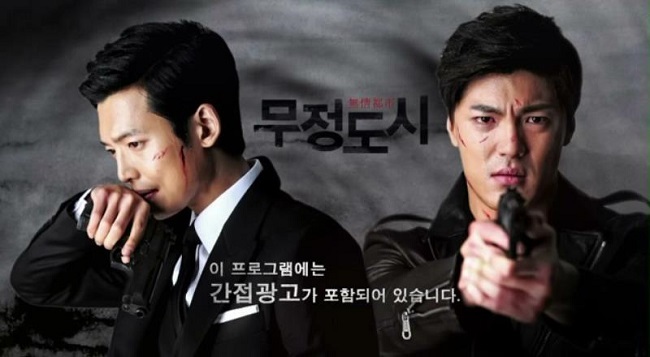 ExtraKun: Jung Kyung Ho Oppa returned from his military service with a vengeance! This role was made just for him– every time he was on the screen it was blazing with his awesomeness as an actor. Can you believe that people had the nerve to compare him with Kim Hyun Joong from Boys Over Flowers?! I was so mad I could spit (and I did)! In any event, I am looking forward to what other projects Kyung Ho will take on in the future. Lore: That Winter is probably one of the best dramas I have ever watched- if you take into consideration the directing. From close up shots to barren landscapes, this director understood how to effectively tell the story that was handed to him. Kyu Tae wove the desperation, the ugliness, and the loneliness of this story into an unforgettable watch, which is why he has my vote for Director of the year. ExtraKun: That is 3 awards for That Wind! All of them are well deserved. The reason I liked the directing is because I like the realness that is brought to the moment. The real time scenes made this drama for me. If it has been done any other way I would probably not like it as much. Kudos Director-nim. MC Interlude: Why is Lee Seung Gi in a bathtub?! Isn’t he the host!!!! Welcome to Stone Cities Drama Awards- with random bathtub scenes! Lore: Jin Hyuk had an amazing year- he essentially stole the show so to speak as far as Gu Family Book (sorry Lee Seung Gi) is concerned. 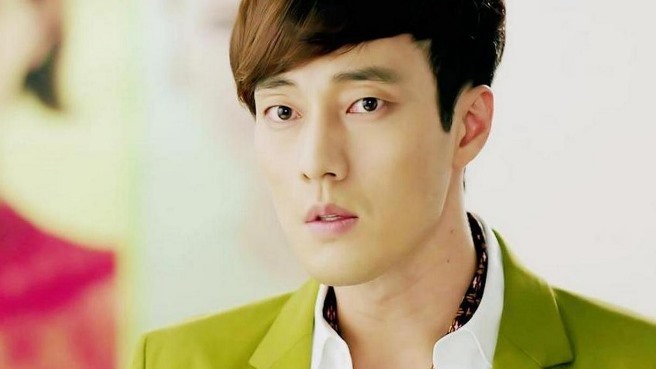 Following GFB, Jin Hyuk starred in The Heirs as Lee Min Ho’s impeccably dressed older brother Won. This man knows how to act, I look forward to seeing more from him in the future. 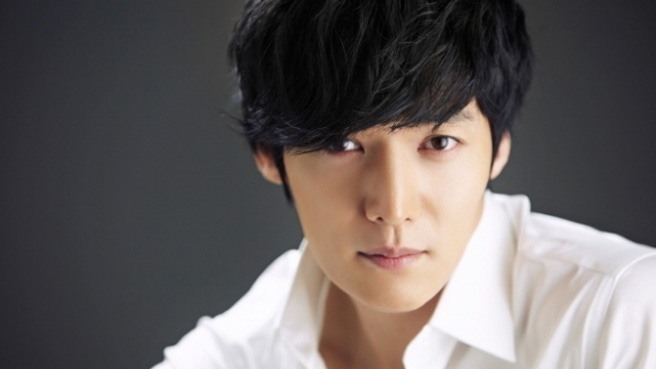 Extrakun: I remember the first time I saw Choi Jin Hyuk in Pasta– he was acting under a different name at the time. Gumiho Daddy was the best thing to ever happen to the tragedy that is Gu Family Book. Even though I did not care for Won (Hyung) by the end of Heirs, Jin Hyuk did an amazing job this year in both dramas. 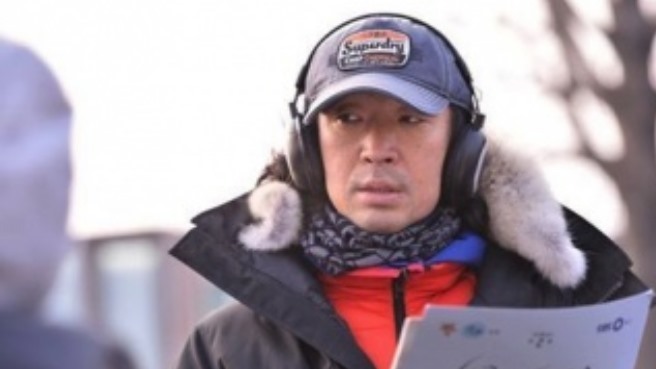 It was his year solely based on Gumiho Daddy, but Heirs put him over the top. Hope 2014 is kind to him as he moving straight out Heirs into his first leading role (that I am aware of). Thank you T. O. P and Rain. And Yes, that was Ekun “dropping it like it was hot” at the bottom of the stage while Doom Dada was playing. Now back to the show! Lore: The Answer Me series is known for giving idol actors a break (Eun Ji anyone) and AM94 has not strayed from this formula. Min Do Hee, of girl group Tiny-G, portrays ultimate Seo Taiji fan-girl Yoon Jin in this currently airing tvN drama and her acting is no joke. 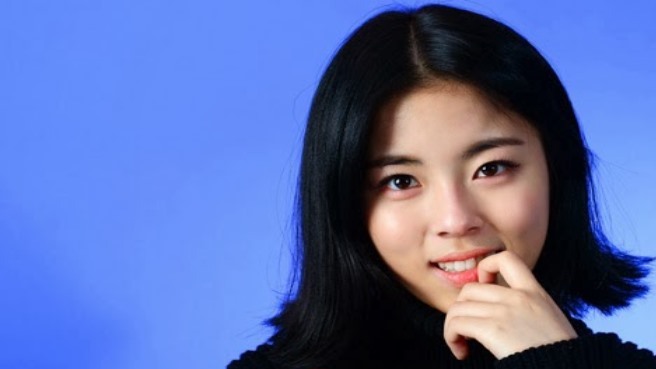 From semi-suicidal fan girl, to drunken secret telling loud mouth, to just being an all-around tough and interesting character Min Do Hee has given a stellar performance in her first drama. ExtraKun: I don’t really like idols who go into acting because I think it takes away from actors who really are talented and they need to stick to their day job. With that being said I was really eating my words when Do Hee arrived in AM94. I did not even think she was in an idol group. I love the way her character is written and I love the way this young lady portrays her. I was always taught to give credit where it is due, congrats Do Hee. Lore :Nine – you clever thing you. The narrative of this story would challenge any writer, to pull this narrative off to almost perfection takes a talented individual (or two individuals) indeed. Song Jae Jung and Kim Yoon Joo told a great story through their script, a great story that will not soon be forgotten in my mind. Previously penning the drama Queen In Hyun’s Man, I anticipate what this duo will deliver in the future. ExtraKun: This drama was the first drama I saw in 2013 but remained the best until the end. I had to think long and hard but it won hands down. The twist and turns, the different elements with time travel, the outcome. It was all beautifully done. Lore: What does it take to cut off your own hand? According to Mr. 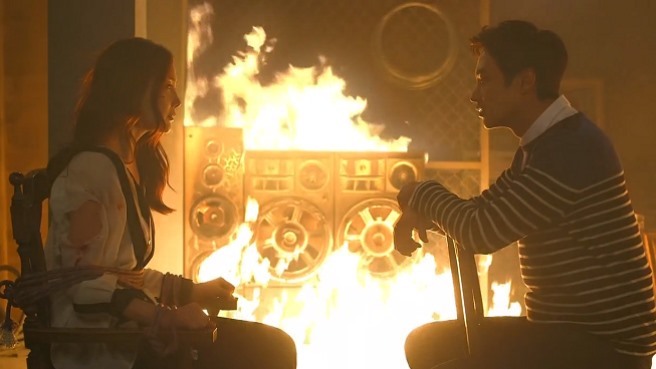 Evil Min Joon Kook a deep burning desire for revenge is enough to think self-amputation is a good idea. Joon Kook just won’t quit with his overwhelming motivations of vengeance; so much so it becomes his entire reason for existing. A bad guy indeed. ExtraKun: A person so obsessed with you- you flee the country to get away from them. Years later after you marry and have a child, they kill your family and claims to killing them self. But you didn’t Seo Ji Hoon! You came back once again trying to live out your “Gatsby and Daisy” fantasy. I now hate The Great Gatsby because of you! But kudos to Song Jong Ho for scarring the crap out of me in 2013. Lore: These two are seriously messed up. As a whole, they kind of make sense, which is a huge part of why this couple works so well. Master is fraught with anxieties (from his adolescent kidnapping) and plagued by the emotional f**k storm that originates from growing up as an heir. Gong Shil sees ghosts, has a huge chunk of missing time while she was in a comma, and is an insomniac. Hey- maybe screwed up attracts screwed up. All I know is that this is my favorite couple in drama land this year – dysfunctional, touchy feely, and hilarious, I can’t get enough. ExtraKun: Wonderful couple. I like how they were both adults and I only remember being upset with each of them once in 17 episodes. This is grand achievement considering the standards I have accumulated by watching tons of dramas. A couple that makes me feel good inside instead of exasperating me gets 2 cookies a piece. Lore: Answer Me 1994 followed in its predecessors footsteps by giving us an amazing ensemble cast. This series has hit a home-run twice now (sorry, stuck in AM94 land right now so I HAVE to use baseball references) with a quirky and diverse cast of characters. I applaud the writers for giving us a boarding house as a setting for this assembled family, because everything after they showed up all country mouse in the big city felt perfect – because they lived together and grew together and got drunk together. Dysfunctional, but perfectly dysfunctional. Lore: These two need counseling. And a hug, a deep bromance reconciliation hug. But even without some reason thrown into their hostility, they have a relationship that is hard to ignore. Young, rich, and emotionally stunted these two heirs gave me a reason to tune in to this over-hyped show (once I was sick of trying to imagine the story adopting the tag of meaningful). Lore: A disservice to a whole lot of people (viewers, actors, logic itself) Level 7 promised an adaptation of a good film plus a talented cast. Yet I found myself watching some of the worst moments in drama I have ever seen. Literally. Which made me feel awfully bad that such talents as Joo Won were wasted in this show. ExtraKun: I saw two episodes and I said no. I hate that this ruined something that was so great. Nothing else to say. ExtraKun: I guess I will talk for the both of us. There was absolutely no reason why these two could not have ended up together in the end. I don’t want people to be together who do not like each other, but my goodness. Sun Woo was an idiot to let this one go. Aigoo. ExtraKun: Kim Soo Hyun aka Friend was a pleasant surprise in Shark. It was one of the times I screamed for joy when we found out who he really was. 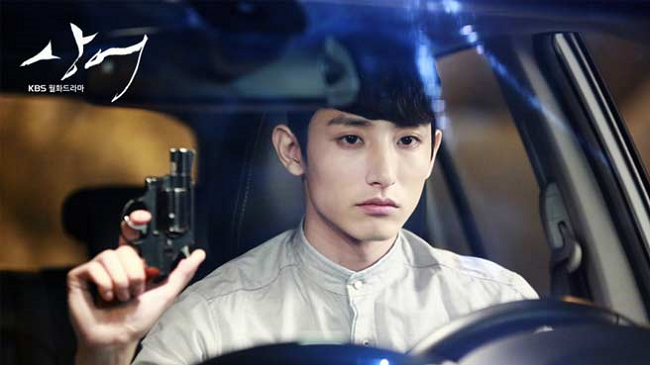 Lee Soo Hyuk has a ways to go as an actor, but with roles like this I will continue to watch what he is up to. Lore: If anyone owned a dismissive gesture it is Master. If anyone made me want to jump into a Korean Drama it is Master. If anyone made me wish I was a ghost seeing insomniac it is Master. Sorry, I am still incoherent as far as this character is concerned. Did I mention I love Master? ExtraKun: Anita Baker says it best when she made the song “No One in the World”. Who knew this song would apply to Master in 2013, because there is no one in the WORLD like Master! He is the dream that you wish would never end. Lore: Thank you for attending Stone Cities 2013 Drama Awards! May your future drama watching experiences be as fantastic as Lee Seung Gi in a bathtub! Cheers! Okay- maybe maybe our night ended up like this. But it is still cool. Can you jump like that in a sleeping bag? I didn’t think so. Cheers! Haaa funnies with the interludes. 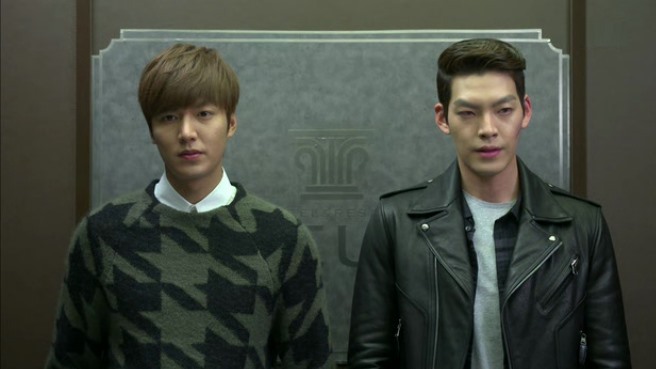 I still think School 2013 wins for best bromance. 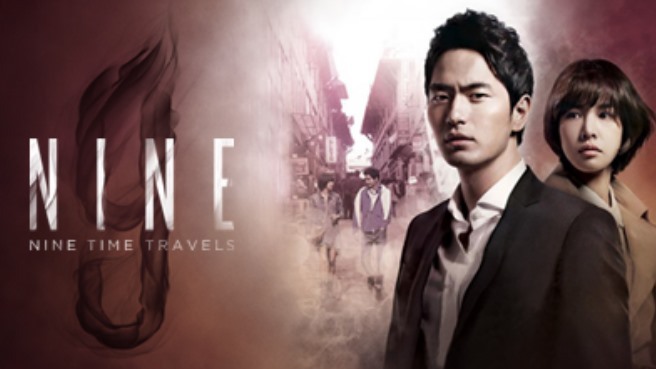 Nine is definitely the drama of the year. I didn’t watch some of these dramas yet. I read the whole thing for MC puppy’s gifs, what a blessing is that man!